Realty News Roundup is PropGuide's selection of top stories of the week from the real estate sector. 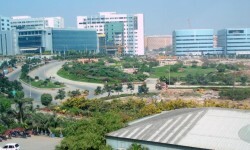 The Delhi Development Authority (DDA) will develop integrated townships at Dwarka, Rohini and Narela. The agency will develop these areas as high-density mixed-use areas which will have residential, commercial and economic hubs. In this regard, the agency passed a proposal to hire consultants as land in these areas is scattered. According to the DDA, 154 hectares will be developed in Dwarka, 259 hectares in Rohini while 218 hectares of land will be developed in Narela. Cash-strapped Haryana Urban Development Authority (Huda) plans to launch 15 new urban sectors across the state and hopes to tide over financial crisis by selling these units. More than 6,200 residential and hundreds of commercial plots will be up for grabs in Mahendragarh, Sirsa, Hisar, Kurukshetra, Yamuna Nagar, Bahadurgarh (Jhajjar), Pihowa, Hathin, Rohtak, Dalvali, Bhiwani, Gohana and Pinjore. The Supreme Court has asked developers in the buffer zones of Bengaluru's famed lakes and wetlands to push back their projects 75 metres from the edge of these water bodies. While refusing to halt demolitions initiated by the local authority to open up drains discharging excess water from lakes, the apex court said no construction activity should be carried out for now. 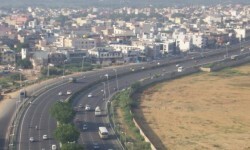 The Brihanmumbai Municipal Corporation plans to start work on the Goregaon-Mulund Link Road by October. The project, which is expected to be rolled out in three phases at the cost of Rs 1,300 crore, will help reduce traffic congestion in the area. The Bombay high court has directed the Brihanmumbai Municipal Corporation (BMC) to demolish the illegal floors of a residential building in Santacruz (West) that falls on the flight path of the Mumbai airport runway. The Airports Authority of India (AAI) had permitted construction up to13.19 metres but the developer had built up to 24.7 metres. The court order implies that the three top floors will have to be lopped off.